This is a sponsored post written by me on behalf of Bertolli®. All opinions are entirely my own. Sundays are always a casual day around our house. Since hubby and I both work from home and control our schedules, we try to get most of the errands run during the week. Saturdays are usually filled with kids activities, catching up on work (especially if we’ve taken a day off during the week to visit a park or enjoy another adventure with the kids), and getting the house in order. But Sunday. Ahh. Sunday is my chill day. I typically spend much of the day playing with the kids and reading. Sometimes there is a little golf on TV. And I almost always make something delicious for dinner. This weekend, everyone pitched in! We made Baked Spaghetti and served it with this crazy-delicious Rosemary Focaccia Bread. 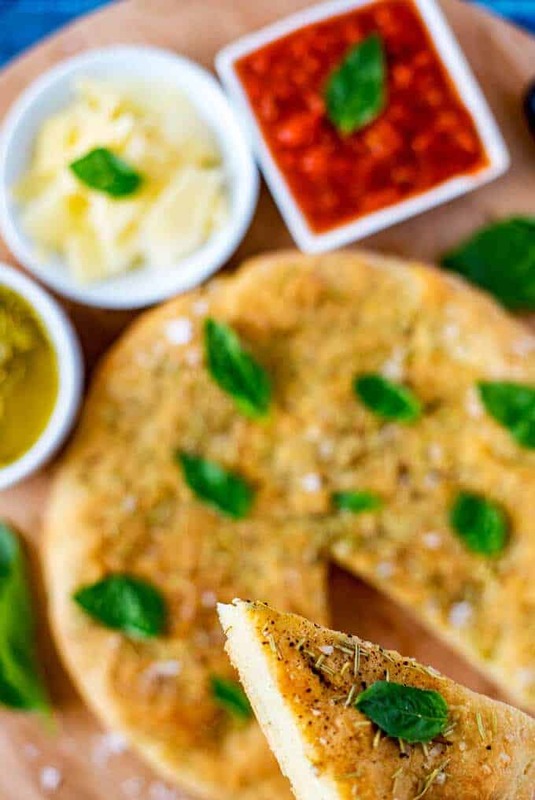 I am still dreaming of this bread dipped in Bertolli Extra Virgin Olive Oil. 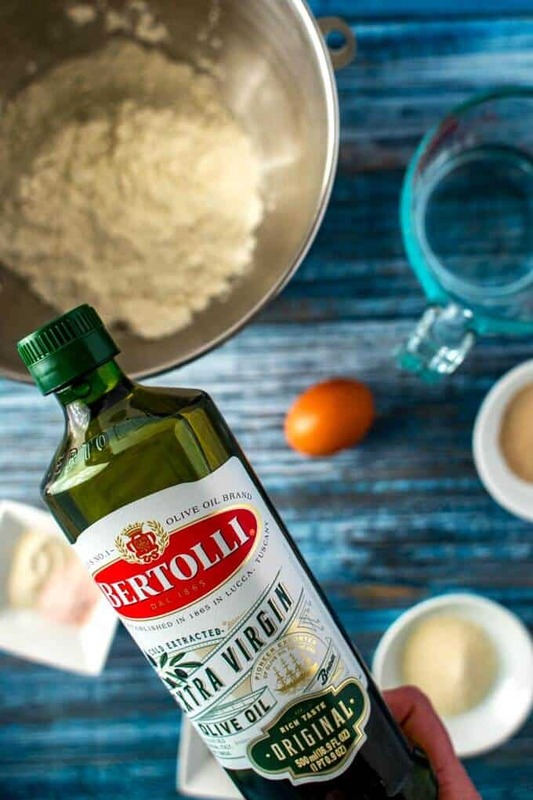 I use Bertolli Extra Virgin Olive Oil for its great taste and quality! I love that it is easy to pick up at Publix. Did you know that Bertolli is the world’s #1 olive oil brand, with over 150 years of experience? The bottles have a new look, but you will find the same great taste that they have always had! Visit the Bertolli website to learn more about the brand and its products. Go to www.getthesavings.com/explore to find a coupon for $2 off 1 Bertolli Extra Virgin or Extra Light Olive Oil 1.5 L (50.72 oz) bottle at Publix. How do I know if my yeast has proofed? The best way to tell is by how it looks! In the photo below, the yeast on the left is not active. This can happen for several reasons, including that the yeast is old. In this case, it is because it was added to water that was too hot. On the right, you see the foaming yeast. This is how you know that it is active. The yeast mixture to the left did not proof because the water was too warm and it “killed” the yeast. The mixture to the right is what you want before proceeding. 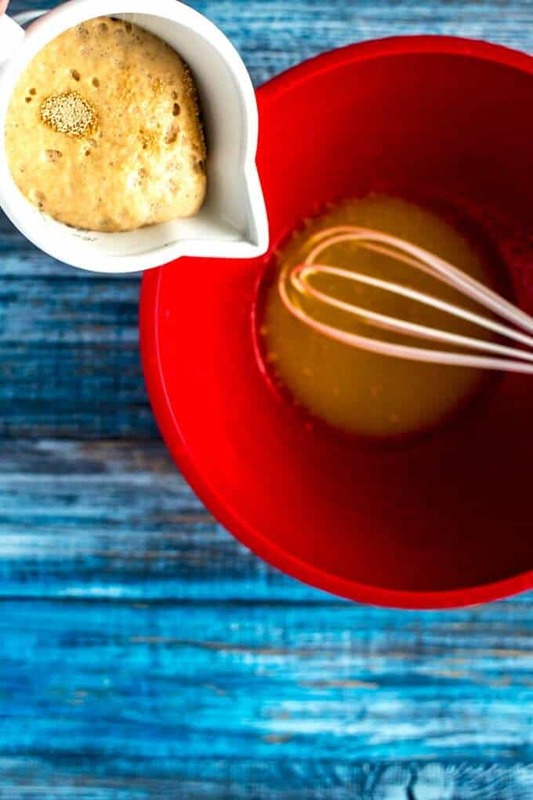 Place the water in a small dish or measuring cup and stir in sugar and yeast. Allow to sit for 5 to 10 minutes, until the mixture is foamy. 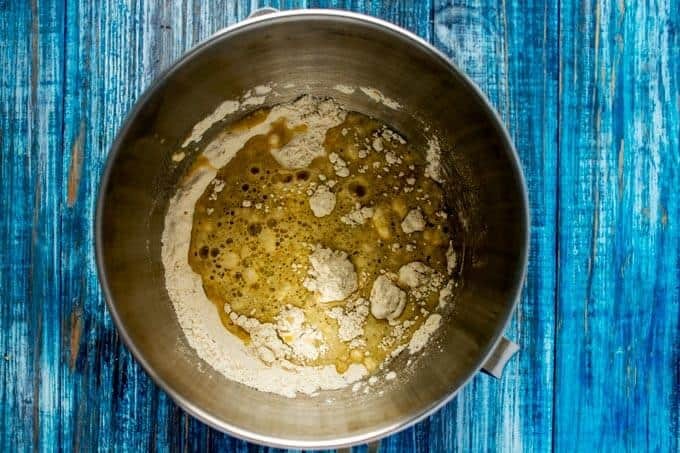 While the yeast is resting, mix together flour, xanthan gum, rosemary, and salt in the bowl of a stand mixer. In a separate bowl, beat the egg and add 6 tablespoons of olive oil. Add the yeast mixture and mix well. 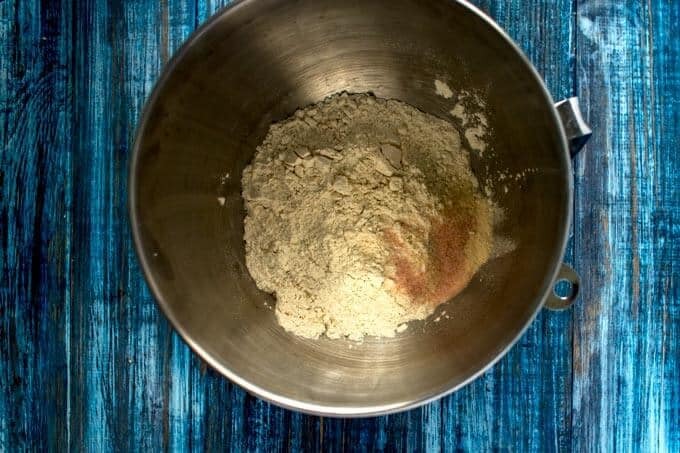 Add the liquid to the flour mixture, and beat well in a stand mixer for 3 to 4 minutes. The dough should come together, but will remain sticky. Line a 9-inch cake pan with parchment paper, and transfer the dough to the pan. Using flour coated hands, carefully press the dough down into the pan. 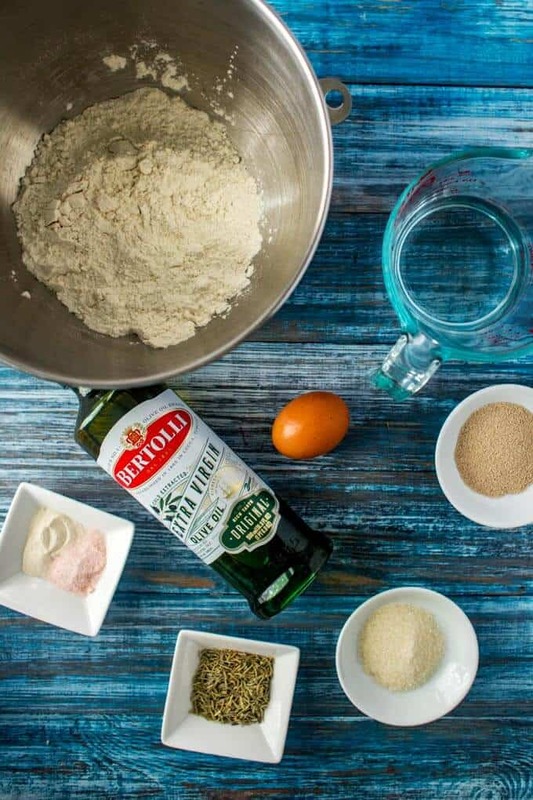 Brush with the remaining tablespoon of Bertolli Olive Oil Extra Virgin Olive Oil and sprinkle with rosemary, salt and pepper. Cover and allow to rise in a warm place for 35 minutes. Meanwhile, preheat your oven to 400 degrees Fahrenheit. Allow to cool on a wire rack. Cut into wedges and serve. This bread is best served fresh, but may be frozen and reheated. Toss a small, thinly sliced red onion, 2 medium cloves of garlic (grated), and a teaspoon of thyme leaves in a small bowl with a tablespoon of olive oil. Scatter on top of the dough and bake as directed. Top with sliced Kalamata olives and sun-dried tomatoes. Top with 1/4 cup diced red onion and 1/2 cup halved cherry tomatoes. Delicious! 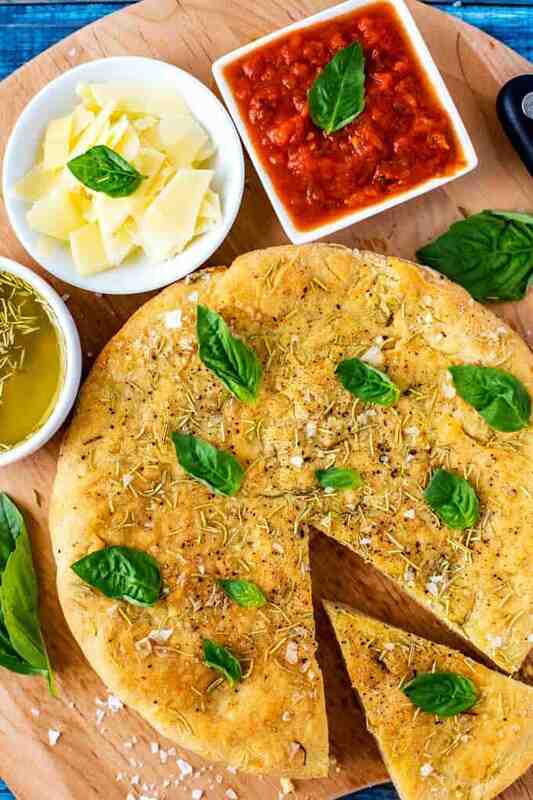 I love a food focaccia- and rosemary is one of my favourite herbs! I love adding olives to mine also. 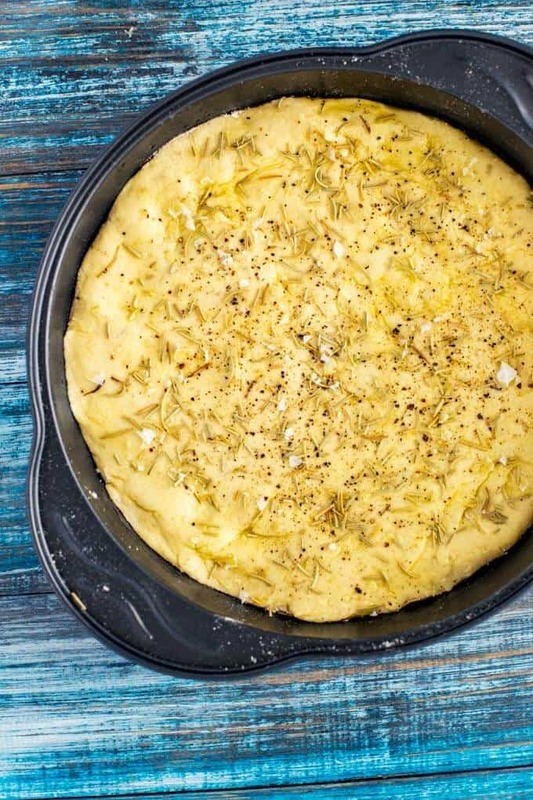 I like ROSEMARY FOCACCIA as it is gluten free and dont look hard to make. Since I love garlic, I would add in more grated garlic for the topping. I like it because it is very simple to make and it is glutten free. However, rosemary is one of my favourite herbs of all time. Thank you for sharing !! it’s a 5 stars ! Oh wow this looks absolutely delicious! 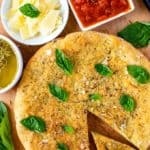 We love foccacia bread in our house but never make it, we really should give it a try! What is this gluten free goodness!? THANK YOU for sharing! I am totally going to try this as I’m always looking for new GF bread recipes that don’t taste like cardboard. I never heard of rosemary focaccia before. Looks delish and not hard to make. Nothing beats Bertolli olive oil! And rosemary focaccia is my favorite. I am jealous of your Sunday routine! Say yes to bread and cards of any kind. The rosemary makes it even better. 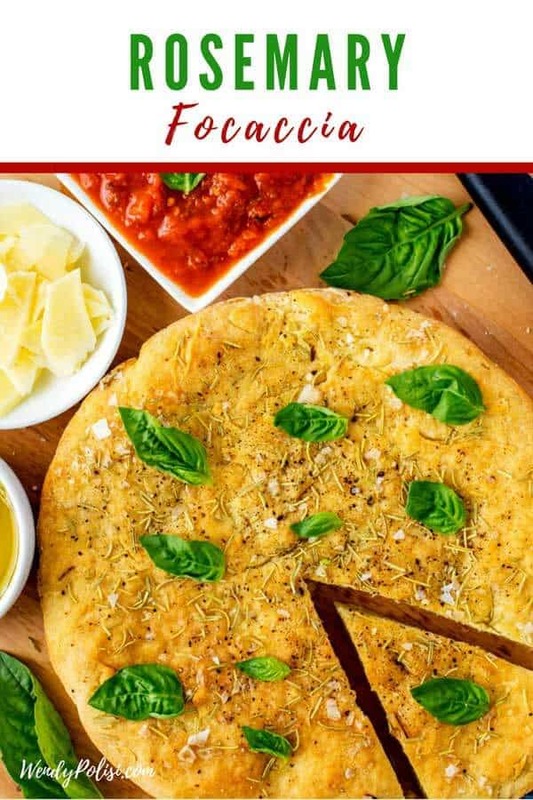 I’ve never made Focaccia bread before, but I would love to try to make it sometime. Sounds like a yummy recipe. 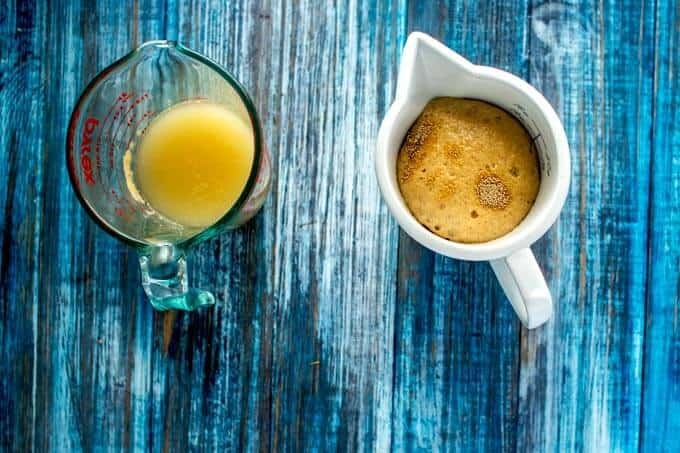 Looks absolutely delicious and the fact that it seems easy to make, makes me want to try it out. MMm I do love a good homemade rosemary focaccia and yours looks amazing! Good olive oil is an important component, for sure. I haven’t made focaccia in forever. I need to get on this before my rosemary plant is gone for the winter.